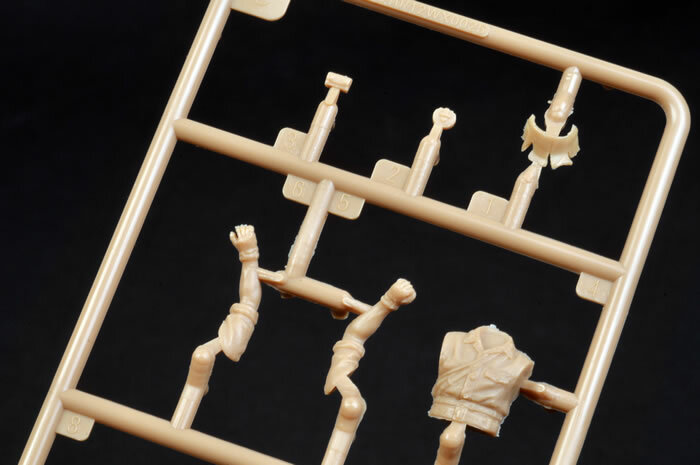 Modelkasten is a brand on often associated with plastic figures but lately. they seem to be branching out and producing limited run figures that show every indication of being some of the best in the business. It helps if you have a master sculptor on board and in this case it is none other than Ichiro Take. Mr Take has a wonderful style and an uncanny sense of anatomy which translates well into his figures. 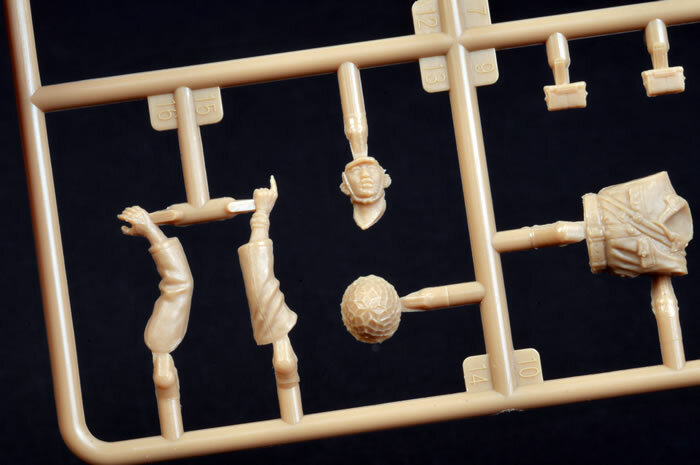 Three figures are offered with one sprue devoted to each figure .The facial details are of note with the Asian features captured to a very high standard as are the ears (which are generally handled poorly in injection moulded figures). All three figures sport the distinctive Japanese field cap with two having the four flap canvas sun flaps moulded well and relatively thinly. 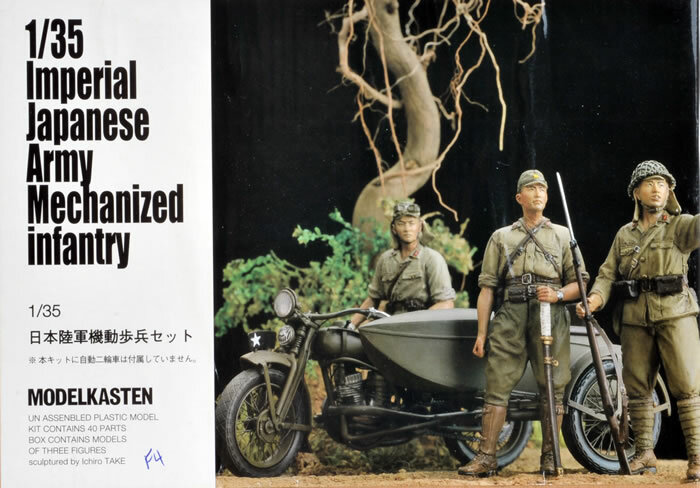 All the fabric folds on the variations of the type 98 uniforms are done to a high standard but the type 99 rifle is not that well detailed and would best be replaced. These figures have been designed for the Pit Road Japanese motorcycle but in reality could be used anywhere. I’m very impressed with these figures and in my opinion they are some of the best plastic injection moulded figures that I have seen. 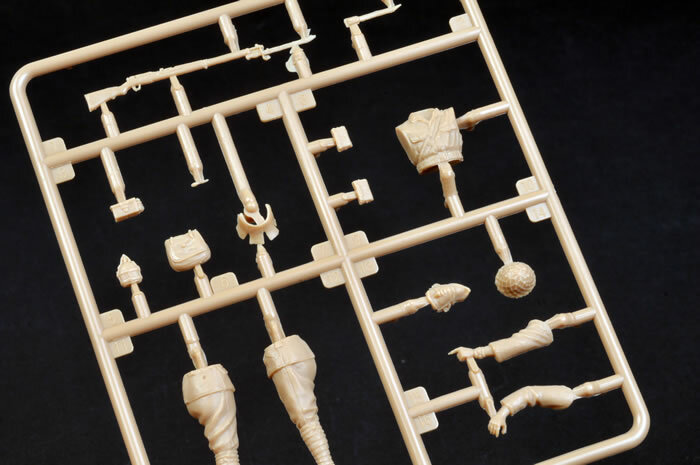 They are relatively expensive for plastic figures but they are of high quality and with a little work will produce a quite outstanding vignette. Modelkasten are notorious for very short runs so if you like these, my advice is purchase them now, because you may not be able to source them when you need them.